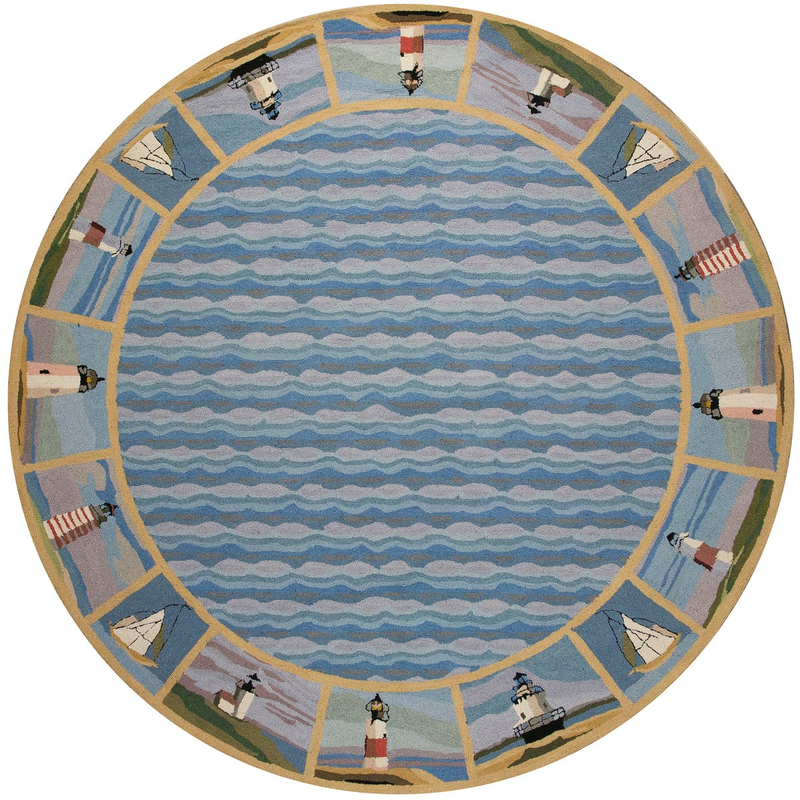 Give your dining room nautical flair with the Colonial Blue Lighthouse Waves Rug - 8 Ft Round. This nautical area rug is detailed with stately lighthouses and sailboats surrounding a wavy sea. For many more products, we encourage you to take a moment to review our whole variety of coastal area rugs at Bella Coastal Decor now.